Browse the furniture department of the famous New York department store, Lord & Taylor, to see the styles for the 1940s. This era featured brightly colored rooms with vibrant walls and carpets. This time period showcased simple straight lines, minimum design, and little ornamentation. 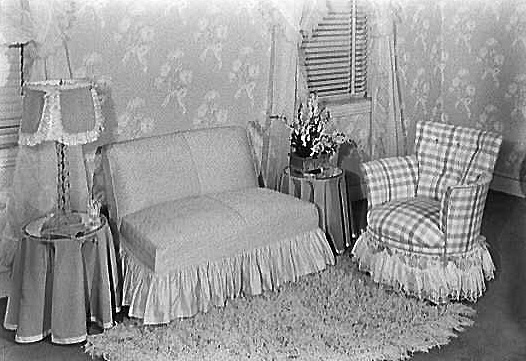 Rooms were decorated with beautiful dark furniture and bold floral fabrics. Dining room chairs were often upholstered in a matching tones as the adjoining living room and featured a large china cabinet to display fine china. 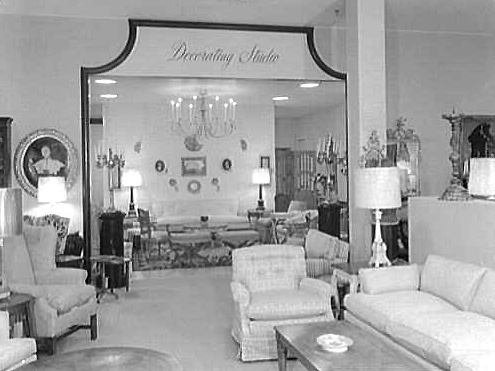 Stylish bedroom furniture shown in a Lord & Taylor department store in pre-war 1941. Rooms were designed in muted colors such as pinks, greens, beige or blues with a grey hue. Draperies featured floral designs combined with intertwined ribbons. Daisies and rosebuds, paired with background patterns of lines or dots, were used in wallpaper designs. Floral patterns were popular for bedrooms, living areas and wallpapered bathrooms. 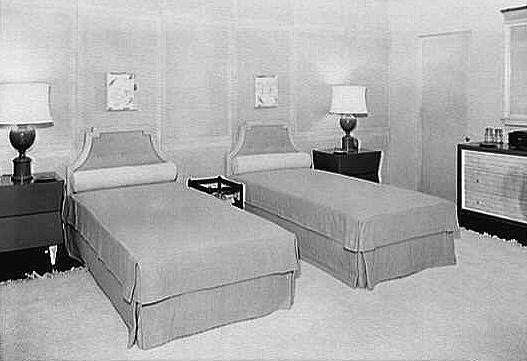 Stylish bedroom furniture shown in a Lord & Taylor department store in 1941. There are two twin beds positioned on an area rug. 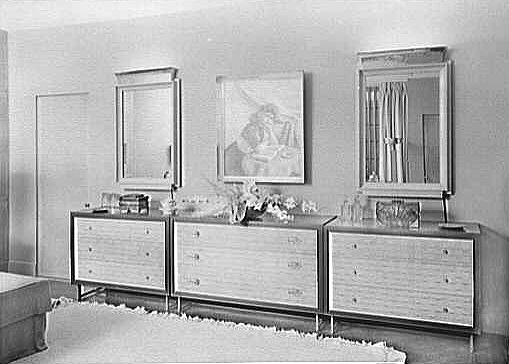 Modern bedroom furniture shown in a Lord & Taylor department store in 1941. 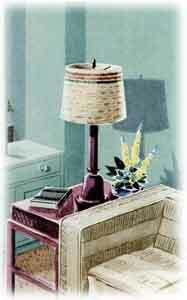 A lady's dressing table is flanked by two contemporary floor lamps. 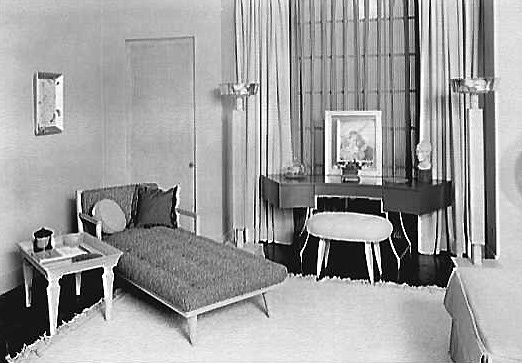 Modern bedroom sofa group shown in the slip cover department of a Lord & Taylor store in 1940. 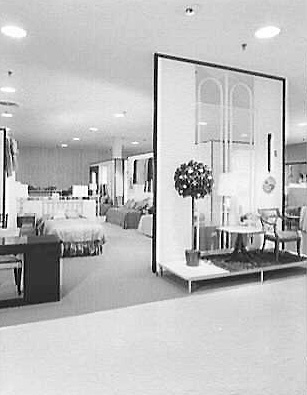 Entrance to Lord and Taylor's curtain and drapery department in the Garden City, Long Island store in 1956. Entrance to Lord and Taylor's furniture department in a Washington, D.C. area store in 1959.